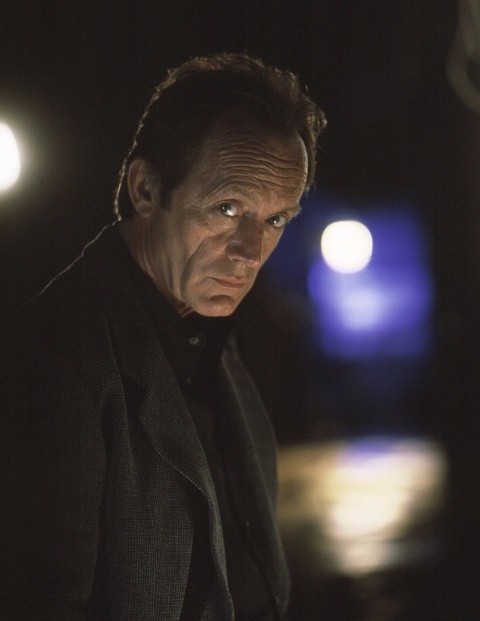 Lance Henriksen portrayed Frank Black in Chris Carter's Millennium. For more than a decade, Chris Carter has made a name for himself by creating The X-Files. While the paranormal-themed drama transformed from a cult TV show into a pop-culture phenomenon, Carter was far less successful parlaying the viewers’ intrigue with his three other TV shows. Out of the three series that didn’t feature Mulder and Scully, Millennium was the only one that lasted for more than one season. With the recent development of The X-Files making its return as an event series, it may finally be time to get back to Frank Black. On October 25, 1996, Millennium‘s series premiere was viewed by 17.72 million people in the United States alone. The future looked bright for the TV show that featured dark and grisly themes. Carter hoped to explore evil as an overarching theme, combining murder-mystery elements with deep-rooted religious undertones, along with a millennial theme. Lance Henriksen portrayed Frank Black, an ex-FBI Agent who had the ability to see inside the minds of criminals. Working as a consultant for the Millennium Group, Frank was was never quite sure of the mysterious organization’s true intentions. Lighting his darkest hour, Megan Gallagher portrayed his wife, Catherine Black, and Brittany Tiplady, his daughter, Jordan Black. As a whole, Season 1 was criticized for showcasing a Serial Killer of the Week format, in which the bad guys are generally caught by the end of each episode. Season 2 of Millennium featured a dramatic change of pace, as Glen Morgan and James Wong took the reins from Carter (who continued his work on The X-Files) and created an actual mythology for the series, featuring angels, demons, natural disasters, Y2K fears and rising shadow organizations rooted in the real-life horror of the 1990s. Together, these elements led to much turmoil in Frank’s personal life. Changing it up, once more, for Season 3, Chris Carter returned to helm the series and dragged Frank back to Washington, D.C. Partnering him up with a young special agent, Carter echoed the familiar territory of The X-Files, hoping to recreate his original show’s success. Unfortunately, the series was canceled by season’s end, only surviving for 67 episodes throughout its three-season run. It was definitely a TV show that was ahead of its time and cancelled way too soon, highlighting psychological terror and spawning many knock-off programs. Since the final episode aired, the real-life millennium has arrived and various end-of-the-world scenarios, along with Y2K fears have all come and gone, but many people believe the series is still relevant in 2015. The Back to Frank Black campaign was created in hopes of rejuvenating interest in the subject matter. Many of the series’ principal filmmakers have been interviewed and would like return to the world of Millennium, including Chris Carter, Frank Spotnitz, Lance Henriksen and many more. While a continuation of the TV series as a feature film would be ideal, many fans — including myself — would be equally pleased if a miniseries or limited event series (similar to The X-Files) could return Carter’s creation to the small screen. Throughout the years, new viewers have been exposed to Millennium as it was briefly broadcast via television syndication. With the complete series released on DVD, as well as IDW Publishing releasing a limited comic-book series, Frank Black has generated a decent amount of attention. The only thing holding back a return to Frank Black is 20th Century FOX Television, which owns the rights to the series. So far, the company has been uninterested in returning to the subject matter. Is it remotely possible for Millennium to return to the pop-culture zeitgeist, once more? As the writer and editor of Back to Frank Black, an exploration of essays, interviews and synopses of Millennium, Adam Chamberlain thinks so. In fact, he’s hoping the ongoing Netflix campaign to include Millennium as a streamable TV series could generate even more publicity, hopefully leading to a possible series revival. Stranger things have happened. Other TV series have been cancelled and renewed years later, so who’s to say the same won’t happen for Millennium? We can only hope and wait for an answer. Until then, we will be rewatching our Millennium DVDs and re-reading our novels and comic books. This is who we are.